Millions of people around the world teach their children not to talk to strangers (or accept gifts from strangers), but the majority of them seem to make one exception; Santa Claus. They teach their children of a mysterious, chubby, jolly, old man dressed in red who will magically deliver toys around the world via his flying specie of ‘Rangifer tarandus’ (aka ‘caribou’, or ‘reindeer‘). In our society parents live in fear of pedophiles & child predators, yet somehow millions of them will stand in line this holiday season at malls around the world so their children can sit on the lap of a total stranger to get their picture taken. One has to ask; could someone ‘of that nature‘ think of a more convenient job to apply for? 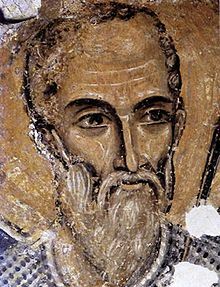 Saint Nicholas was a fourth century bishop (known for giving to the poor) in what is now Turkey. He is known best as being the inspiration behind the fictitious character of Santa Claus. Q99. What about a Christmas play in a Holy Ghost church? Well, if it’s about Christ, it might be all right. But if it’s about Santa Claus, I don’t believe in him. I–I done growed–I done growed away from that. I don’t believe in Santa Claus at all. See? And some of these little Christmas things they have, I think is ridiculous. And… But I think they’ve took all Christ out of Christmas and put Santa Claus in it. And Santa Claus is a fiction story. (I’m not hurting any of your feelings, I hope, about the children.) But I’ll tell you. Here not long ago, about twenty-five, thirty years ago, when a minister here in this city, the pastor of–of a certain big church here in the city, that I knowed real well, a bosom friend of mine, he walked to me. And Charlie Bohanon (Brother Mike, you remember Charlie Bohanon, a good friend of mine. )… Set there in his office and said, “I’ll never tell my kids or have my grandchildren told that lie no more.” He said, “My own little boy walked up to me after he got about twelve years old, and talking about Santa Claus…” And he said, “Why… Honey, I’ve got something to tell you,” Said, “Mommy…” You know, and go ahead telling him what he did. Tell the truth. 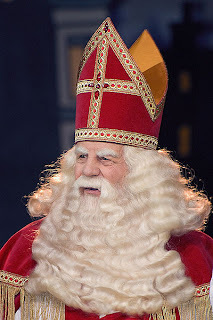 Santa Claus is a Catholic getup about a fellow, a Kriss Kringle or Saint Nicholas, an old German Catholic saint of many years ago who went around doing good to children. And they’ve carried it down as a tradition. But Jesus Christ is the Son of God. He’s real, and He lives. Now look. You might disagree with me at that. But if you do disagree with me, remember, let it be friendly, will you? I love you, and I don’t want to–don’t want to hurt you. I’m just–I’m wanting to be honest. If I can’t–if I tell my boy a lie, then I’m a liar. See? I want to tell him the truth. Now, I tell him about Santa Claus; I say, “Yeah, sure, there’s Santa Claus. Watch daddy on Christmas night.” See? Yeah. “What’s any more of a myth than Santa Claus? Never was such a thing. Telling children lies, you’ll be responsible for it at the day of the judgment. Yes.